Cars 2 Color Characters - Stampate le immagini da colorare per i vostri bambini e fate colorare le auto dei personaggi preferiti di Cars (Disney), come Saetta McQueen, Mater, Doc Hudson, Sally Carrera .... Buon Divertimento !!! 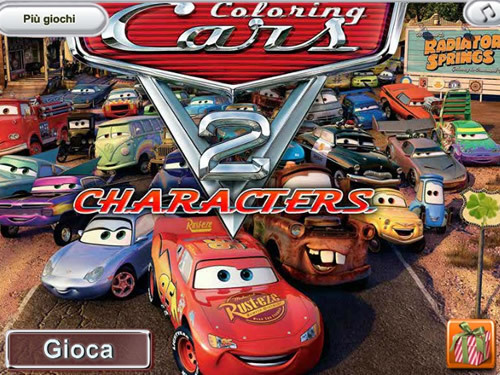 Cars 2 Color Characters - Print colouring pictures for your kids and let them color their favorite Disney Cars 2 characters, such as Lightning Mcqueen, Mater, Doc Hudson, Sally Carrera .... Have Fun !! !